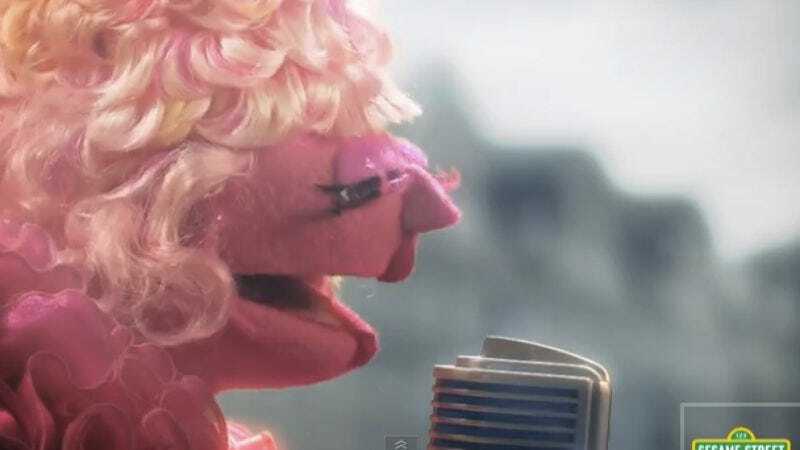 Sesame Street has parodied some pretty bleak pop culture in recent years, from Sons Of Anarchy (“Sons Of Poetry”) to Homeland (“Homelamb”). But the kiddie show’s most recent parody—a Hunger Games farce called “The Hungry Games: Catching Fur”— pretty much outdoes all the rest, solely because it’s working from original source material that's about forcing children to kill each other. “The Hungry Games” still has all the polarizing bleakness and pageantry of the Hunger Games movies, but instead of being about life, death, and murder, it’s about a competitive eating competition that also involves pattern recognition. The book references are spot on, with both Finnick and Wiress making appearances. Plus, in this adaptation, Peeta is played by an actual piece of bread, so that’s great.